Sometimes removing clutter is pretty cut and dry. If we don’t need it, we can toss it no questions (or lingering after effects) asked. Then we hit a roadblock when we see a box of letters from the 6th grade…..OUR 6th grade. 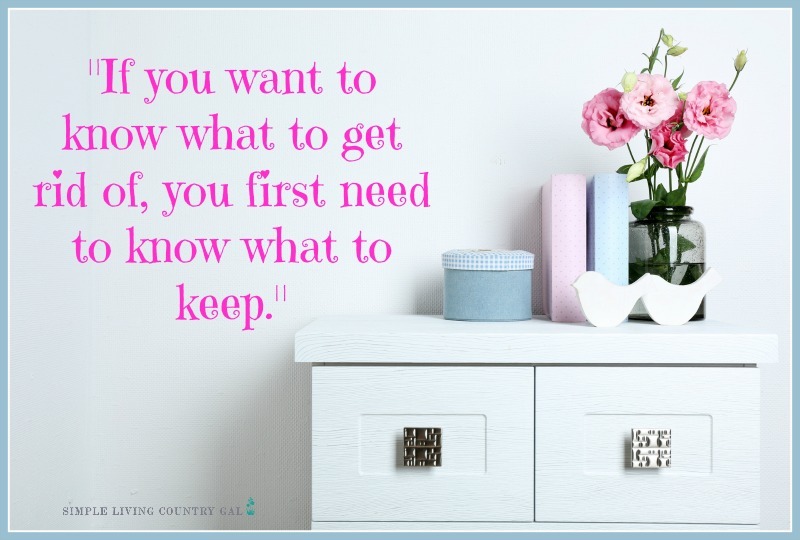 This is the hard stuff to toss and what we are going to dive into today as we talk about getting rid of sentimental clutter. Basic clutter is easy to remove. Clothes that are stained or torn, toys that are broken, books you no longer read, excess kitchen items or tools or Tupperware, or dishes, or or or….. I could go on and on at the random things we can easily remove without a thought or even a care. It’s the other things. The things that are not so easy to remove. The things that stir up memories in us even if they don’t mean diddly to anyone else. This is what I call sentimental clutter. And sentimental clutter can be a deer frozen in the headlight’s roadblock keeping you from removing anything in your home. Sentimental or emotional clutter are things you own that have value to you but not necessarily value to someone else. So, for example, a ticket stub to your very first concert may have quite a bit of value because of its meaning of another time in your life, but money wise has little or no value what so ever. If you have something that stirs up a memory or an emotional feeling, then it is most likely sentimental clutter and may pose a challenge to remove from your home. 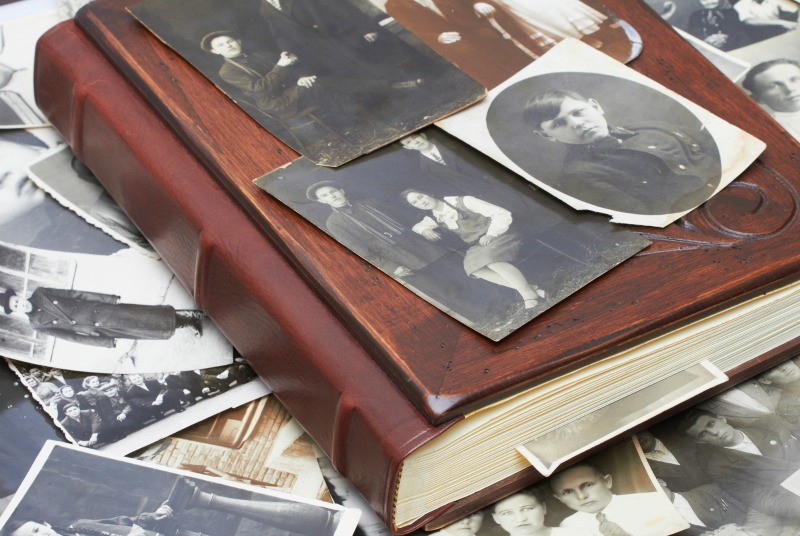 Getting rid of sentimental clutter, how exactly do we do it? Ninja Tip: If you are brand new to decluttering do NOT begin with sentimental clutter. You need to train yourself to see your things as just that, things, and before you are ready to tackle items that pack such an emotional punch I want you to start out easy and small. To begin, check out this post that will get you started in a simple and non-stressful way. When dealing with sentimental clutter rather than deciding what you are going to remove you will want to instead decide what you want to keep. Doing things this way will not only make it much easier to deal with the attachment in a positive way but will also help you to decide what you actually have the room to keep. This one step is key to helping you make the tough decisions that are ahead. Let’s look at this in a practical way. If you have a bookshelf in your office that holds your tried and true favorites. You know, those books that make you smile every time you see them sitting up on your shelf and yet you still have boxes in the attic of all your college or even high school textbooks that you are keeping for some crazy reason, you may need to take a step back. The rationale here is to keep what you have room for and to make sure you have your very best things where you can see and enjoy them. If that is the rule of thumb, then it only stands to reason that the textbooks can (and should) go. As you go through a box of sentimental clutter I want you to touch each item and ask yourself. Is this something I truly want to keep? If the answer beyond any doubt is an adamant yes…..then you go right on ahead and keep that item. This is NOT an all or nothing process. If it makes you happy then, by all means, make room for it. Getting rid of childhood memorabilia. Memories from our childhood can be difficult to declutter and for good reason. For most of us, our childhoods were wonderful times and anything that will take us back to those times deserves a spot in our homes. What I do want you to declutter are those things that do NOT transport you back to happiness. Our first tooth, or first sliver (wait, am I the only one that still has this?! ), a poster we made in 3rd grade for a spelling B. Those things can and should probably go. To make this approach easier remember what I said above, go through and select the items you want to KEEP. This positive step is key and when you choose the items that make you smile all over it is so much easier to let the rest go. A teddy bear you slept with all the way into your teens or a book your grandmother read to you every time you slept at her house or even the fuzzy dice you had in your very first car. If you love it, then you may keep it. And that is the bottom line. Letting go of our keepsakes can be hard. After all, you did keep these things for a reason, so to make this just a bit easier let’s establish a few rules and go over each of them. Rule #1 – Make sure you have room. I am sure you thinking this is a no-brainer rule, but hear me out. I am not just talking about the room in your home but also room in your heart. If a certain item brings up pure joy then this may be an item you will want to work hard to keep. If, however, an item only brings up a twinge of feeling then you may find it okay to let it go. Rule #2 – Free up space. Let’s keep talking about rule one for just a minute. As you begin to sort out items that just hint at an emotional feeling you will make more room in your home and in your heart for those items that stir pure joy. Rule #3 – Not all keepsakes are clutter. This rule is what I like to call a game changer. No, not all sentimental clutter is bad and that is probably the best news ever. If an item brings you pure joy then that item above all others can absolutely stay. Rule # – Choose representatives. For some of us, collections define who we are. One just isn’t enough to show our love of something we feel we need dozens to prove how much we care. So, for example, If we love Disney, we may not have one Mickey doll but 38. Or if loved making models as a kid we may have 12 different cars or 15 different airplanes. If this is you, then rather than keeping the entire collection you may be able to select one or two favorites to keep instead. This is a fantastic way to pare down things yet still hang on to the memories of what you loved. Rule #4 – Location does mean something. As you are sorting through your things you may find boxes buried in your attic or storage area that are full of mementos from your childhood. Tattered, precariously stacked boxes of this and that all tossed inside with no rhyme or reason. If this is the case, you may want to ask yourself just how important these things are to you. Now I am not saying to toss anything that is shoved inside of a box. I am saying that if you have 20 boxes of childhood memories with these new tools I am teaching you, maybe you can widdle that down to 5. Rule #5 – Pack it like you mean it. Once you have your tried and true, the items that you have chosen to make room for, it is imperative that you pack things in a way that gives honor to each and every item. No, you do not need to display all of your ribbons from your 4H career, but you could keep them in a binder along with photos and descriptions of what you won and why. Yes, this process will take some time, but these memories may not stay forever, and we owe it to our families to make the importance of our things known. If you pack your treasures with respect, then it will be obvious to anyone else that discovers it of the importance of those things. Above all, we need to take the time to store properly the things we love and hold dear to our heart. For some of us tossing sentimental clutter is not a big deal at all and for others it is HUGE. To help deal with the emotional attachment we have to some of our things you will want to let go in a respectful way. This will make the removal process so much easier both now and later. Regret is not something I ever want you to have later on so by giving your things the attention they deserve even when you are purging them is important. As you are removing an item I want you to say out loud “Thank you for the memories you have given to me”. Yes, I know it might sound silly, but you will be amazed at the power this vocal acknowledgment has. By giving voice to your appreciation you are giving yourself permission to remove the item and along with it any guilt. Not all clutter is physical and sometimes it’s the mental clutter that holds us up the most. My good friend, Maureen, over at A Debt Free Stress-Free Life has a great take on dealing with mental clutter that you should check out. Her tips really will help you deal with the stuff that is cluttering up your head and keeping you from living your very best life. So, now that you know what you are going to keep what’s next? We need to find a way to store your memories with honor and respect. 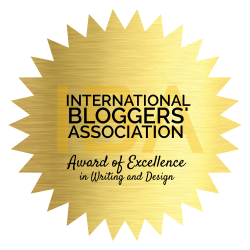 I have a few ideas that will help you to find the best way that fits not only your treasures but also your personality. It might sound strange to talk about personality when we discuss storage ideas but that is one of the key reason organizational system work. If your personality wants ease and simplicity then bins and open baskets are what you need. If your personality wants pretty and not necessarily simple, then baskets with lids and boxes are perfect for you. I am sure if you are a parent you already have keepsake boxes set up for your little ones. The tricky part can be fitting baby memories into one small box. This is the time to be a bit picky and try to select only the very best things to keep. A large tote may work well here if you have the room, but I would suggest you try to keep all your child’s things in just one tote and only one. I love to use these file folders to house all kinds of memories. A 12-month file is perfect for storing school papers for your children using each pocket for each school year. Each pocket has enough room for your favorites without overwhelming yourself with all our kids collect in a year. A few photos, report card, artwork, test papers, reports, and even a few rewards. Those accordion files hold more than you think and take up very little room even when full. I have one set up for each of my boys that they can take with them when they begin a life of their own. If you have children this is a great option for passing on memories. I like to use locking lid totes like this one since they are durable to stand up for years until needed again. You can fill these totes with cherished items that can be loved by another generation. Be sure to label each item with the date and why it is special to you. You can even note why you chose to pass it on. Then years from now when your child is grown they will understand why you saved these special things just for them. Storage Option #4 – Digital anyone? If you love pictures as much as I do then this tip is for you. Lucky for us we live in a digital world and because of that, we are able to keep as many pictures as we want without cluttering up our homes. There are so many “Clouds” out there where you can store your photos for just a few dollars a month or even free if you are a member of a club like Amazon Prime. Ninja Tip: Do you love photos but hate that no one gets to see them? Why not share them! Print out a few favorites and tuck them inside of Birthday cards. There is nothing more fun than getting a blast from the past in the mail. I have been doing this for years and my family just loves it! I love to remake a memory into something new and by the looks of what is on Pinterest, I am not alone. You can make quilts from your kid’s sports shirts, scrapbooks from family photos, hobo bags from blue jeans, pillows from baby blankets…I could go on and on. Before you toss, check out what you can find on Pinterest and see if you can give new life to something old. Most folks fear to declutter memories and for that reason refuse to tackle any area in their home. I totally get the reluctance but it’s time for a little tough love here. You owe it to your family and yourself to clean it out, yep all of it. And once you get started you just might be surprised at how you feel both physically and emotionally. Torn and tattered boxes of precious memories scattered in your basement is not the way to house what brings you memories of pure joy. Sort it out, keep what you love, and store it in a respectful way so you can visit it often and revisit those feelings again and again. Remember your things do not define you, your memories do. Start getting rid of sentimental clutter today and change your life for the better.